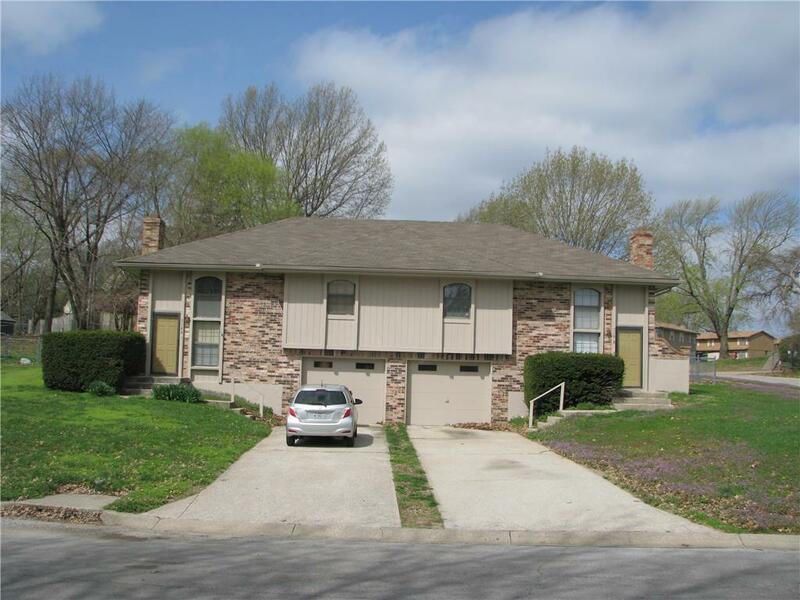 Fantastic opportunity to own investment property in Lee's Summit. These 3 bedroom 2 bath units are rare in Banner Grove. 1 of 2 units rented. Seller leaving one side open for showings. Units have large 3rd bedrooms, finished basement, laundry, fenced yards and storage sheds. Rare Opportunity here. Directions: 291 Hwy to Chipman Rd. Go east staying on Chipman, it turns into Banner Drive as road turns to the North. Home is on your left.